Jaime Rogl has always been focused on creating memories for families along with giving back to the community as much as possible. 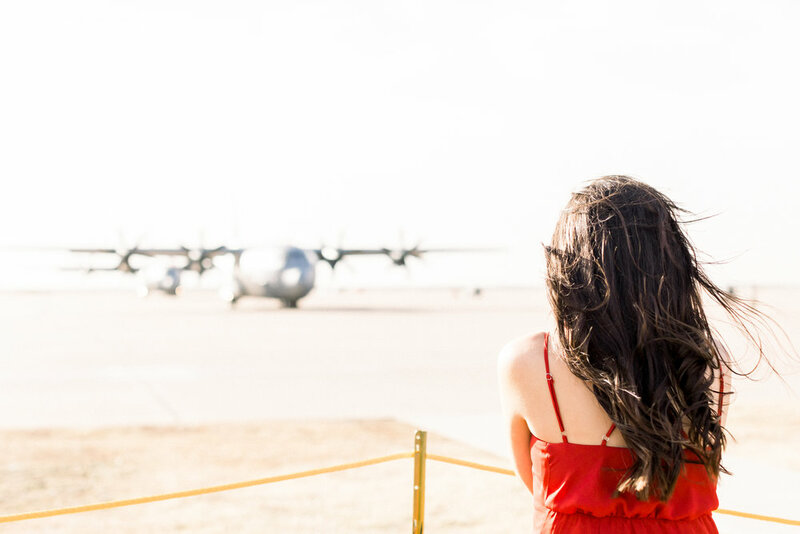 Jaime has been donating homecoming and fini-flight sessions for military families for many years as a way to give back to the military community and thank the families for their sacrifices for our country. Jaime has a style that is highly sought after for homecomings and has a large waitlist every homecoming. She aims to capture as many homecoming reunions as possible, which is why she has created a group of photographers who volunteer their time to help reach as many families during a reunion. The months before a homecoming, families will inquire about having a photographer documenting their reunion. Jaime is the first photographer assigned to a family, then following families will be assigned to their photographers on a first come, first serve basis. The photographer will be assigned a family and copied in the emails leading up to the homecoming. Jaime will gather all necessary information regarding times, dates, and additional details. An hour before the reunion, Jaime and the photographers meet and the photographers are issued an SD card. After the homecoming, the photographer hands the SD card back to Jaime and Jaime culls, edits, and delivers the photographs. The photographers retain the original rights to photographs and are credited in any blog post or social media post. Thank you for your application. Please keep an eye on your junk email for a response! We will be back with you in the next few days!